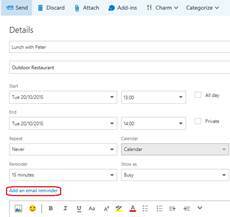 If you would like to read the next part in this article series please go to Improvements to OWA in Exchange 2016 (Part 2). 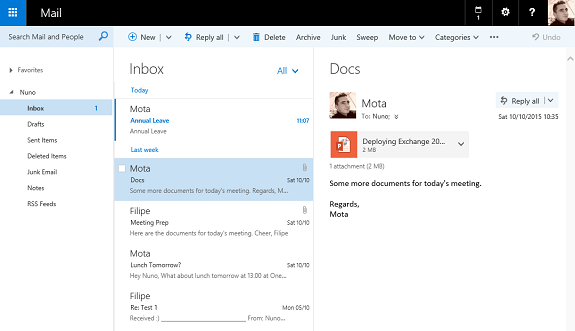 As you probably already know, Outlook Web App (OWA) has, for some strange reason, been renamed to Outlook on the web in Office 365 and Exchange 2016. The former OWA user interface has been updated and optimized for tablets and smart phones, in addition to desktop and laptop computers, and includes several new features. So let us see exactly what changed. First, it is important to have in mind that the supported web browsers for Outlook on the web in Exchange 2016 are Microsoft Edge, Internet Explorer 11, and the most recent versions of Mozilla Firefox, Google Chrome and Safari. 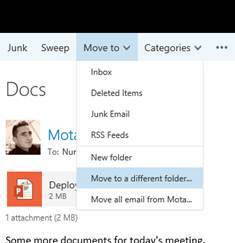 We cannot say Microsoft hasn't tried to deliver a rich email and calendar experience in OWA. 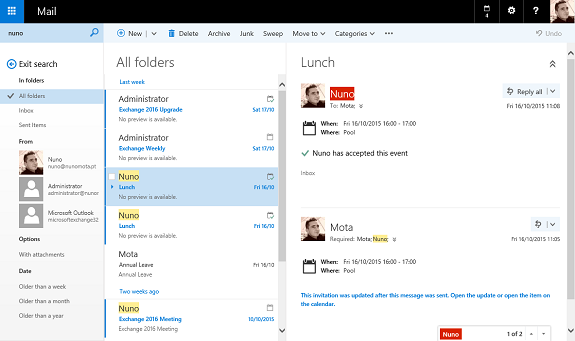 Over the years, it has worked to improve OWA, and the new Outlook on the web is no exception with its enhanced user interface (UI) and new features that aim to help users be more efficient, stay on top of their inbox, and better manage their calendar. 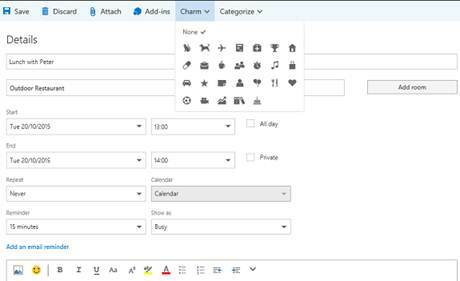 New features include: Sweep, Pin, Undo, inline reply, ability to propose new time for meeting invites, a new single-line inbox view, improved HTML rendering, better formatting controls, ability to paste inline images, new themes, and emojis, just to name a few! 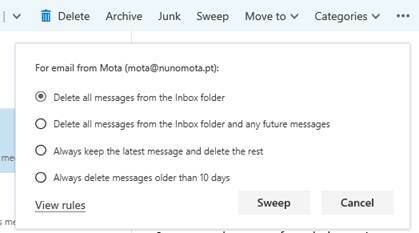 The action toolbar provides quick access to the most common commands, such as searching, composing a new email, clearing the folder, replying, deleting or performing other actions on the message. 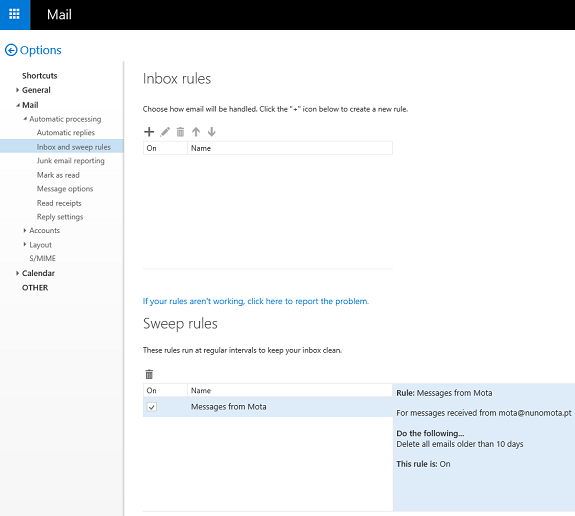 As you saw in the screenshots above, Microsoft added new tools to help users sort through their emails and identify the most important items to deal with first, as well as improve the overall experience. Pin - users can now pin any email in their inbox to have it highlighted in yellow and kept at the top of the inbox folder. Pins are a good way to keep important messages handy and prevent them from getting buried in between other emails. Improved single line view – to me the Reading Pane is indispensable, but some people do not use it either due to personal preference or maybe because their screen is too small. 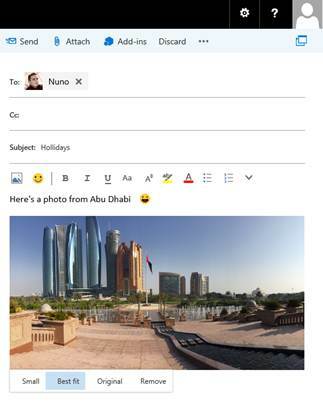 If you prefer the single line message view over the traditional reading pane, Outlook on the web now includes a preview of the message contents in-line with the subject. In addition, we can now perform common actions in bulk, which makes managing the inbox not only easier, but also faster. 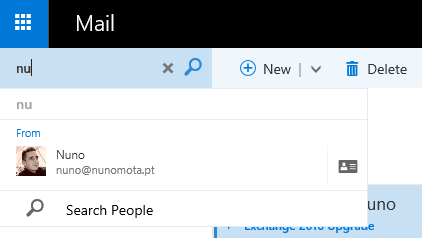 Additionally, when clicking an email in single line view, it gets opened in the same window with no pop-up or separate window. 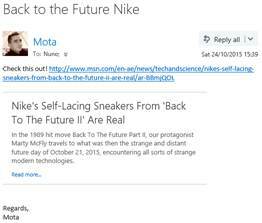 When we open an email that contains a hyperlink or when we add a link to an email, Outlook on the Web inserts a preview of that particular website. If we don’t want to see previews, all we have to do is go to Options and disable this feature. As we type, the list of recipients is automatically refined to filter only those matching our search. This list of common recipients is intelligent and adapts as the people we email change over time. 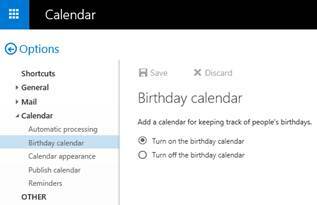 The Calendar has also experienced some improvements in an attempt to help users better manage both their work and personal life. Another improvement is around reminders. 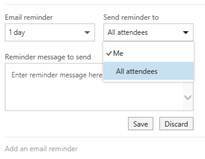 We can now create email reminders for any calendar event. We can specify the recipient list, include a quick message, and set the day and time we want the email reminder to be sent. Definitely a great way of keeping everyone updated on important events in case they did not set a reminder themselves. 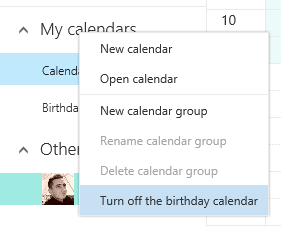 There is now also a Birthdays calendar by default to help us more easily manage our work and personal life. This works just as normal calendars that can be overlaid over our work calendar or viewed separately. Even with all the alternative ways of communication and collaboration, the quantity of email in people’s inboxes continues to grow. As such, it is essential for users to be able to search through all those emails in a faster and easier way. 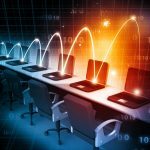 By studying how users search for emails in Office 365, Microsoft was able to fine-tune Exchange's search architecture. 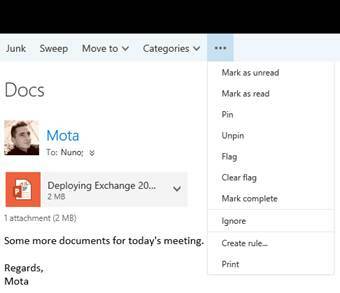 The overall speed of server-side search is improved in Exchange 2016, and Outlook now benefits from the power of server-side search. 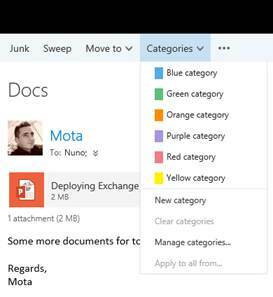 When Outlook 2016 is running in cached mode (and connected to Exchange), it performs an online search, in theory delivering faster and more complete results than desktop search. 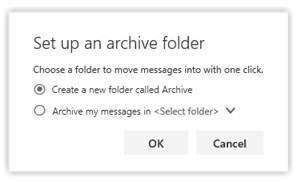 In the first part of this article series, we introduced the new Outlook on the web interface and all the new features from the previous Outlook Web App 2013. In the next and final part we will look at some further improvements such as around mobile devices. 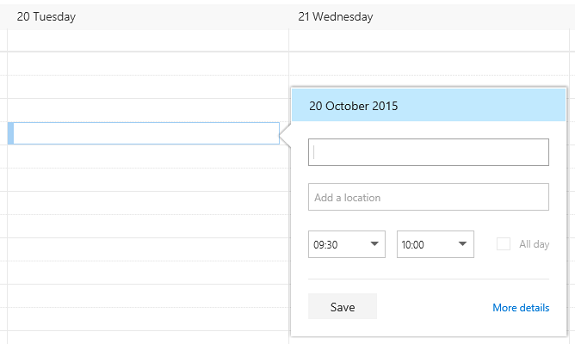 Losing the ability to subscribe to calendars on the same exchange server isn't allow anymore. I guess not an improvement though.